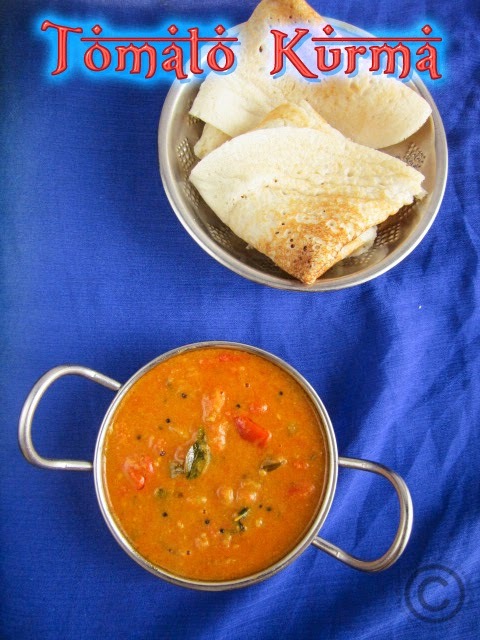 Hi friends, idli and dosa is very regular breakfast or dinner in every South Indian home. 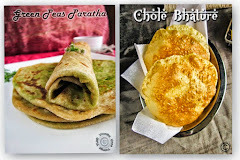 Making side dish for idli/dosa is always tedious that what to make each and every time. 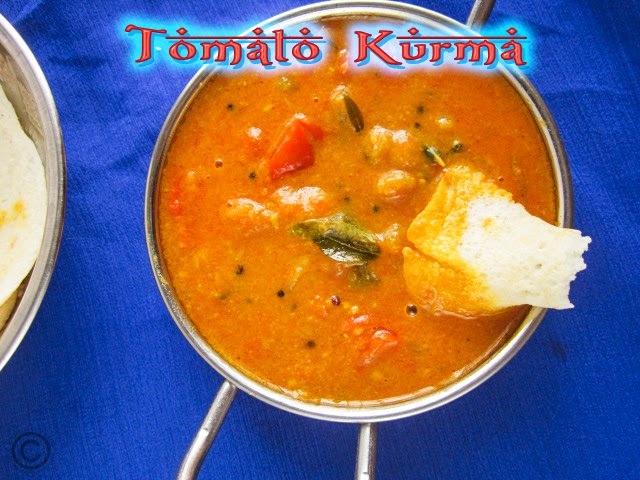 We should be bore of same varieties of chutney or sambhar, right? Yes, for me its bore while repetition. 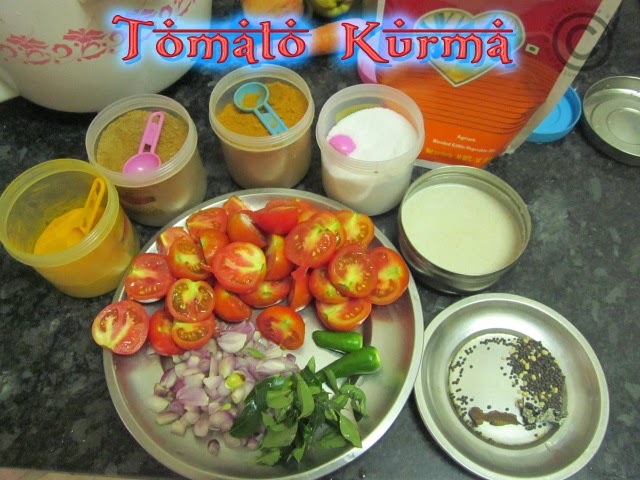 I will prepare the instant tomato kurma, instead of chutneys. 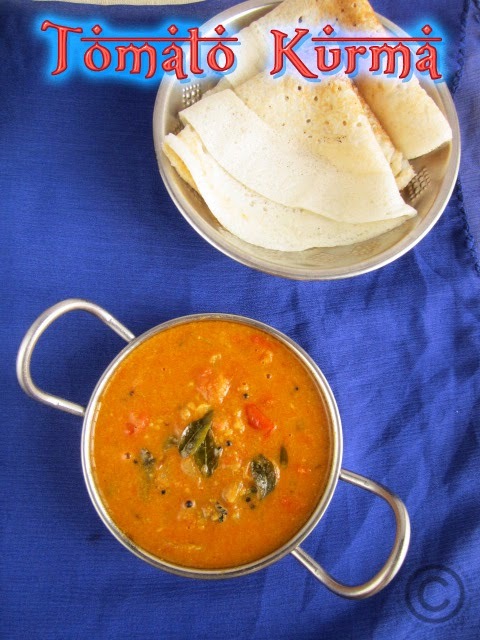 It will be superb combination with idli/dosa. 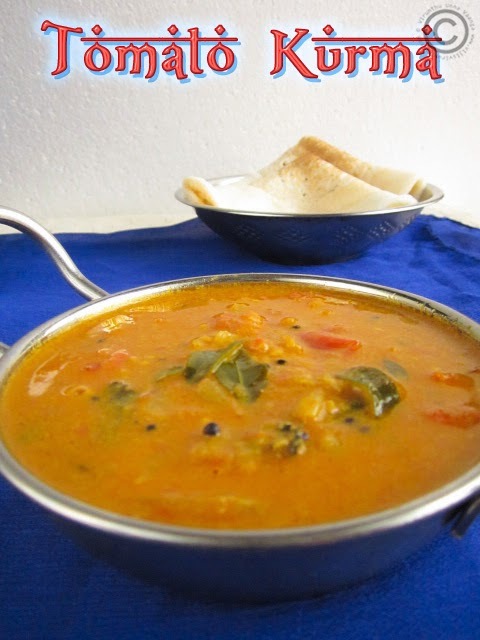 I just love the juicy idli/dosa with the flavorful tomato kurma… You can prepare at any time and its very easy to make and never miss to give the delicious to your taste buds. 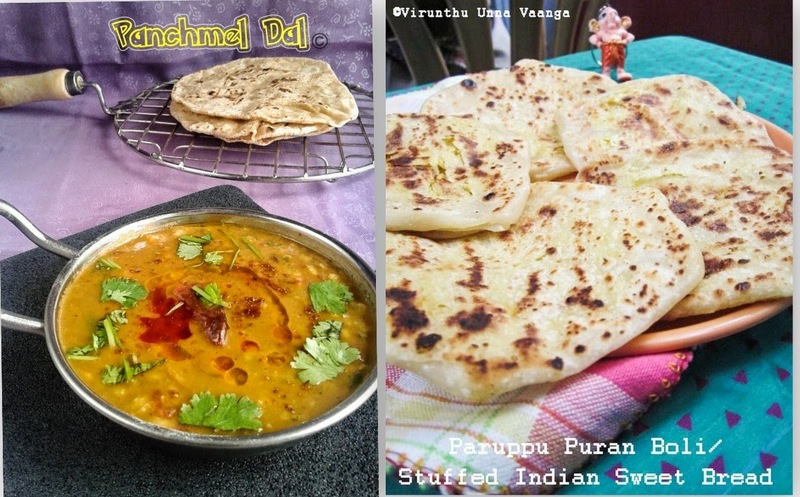 Pressure cooker method is even easier and time saver. Heat oil in pressure cooker; add cinnamon, kalpasi, mustard seeds and urad dal wait for sputter. Add shallots, curry leaves and green chillies sauté till the shallots turns translucent. 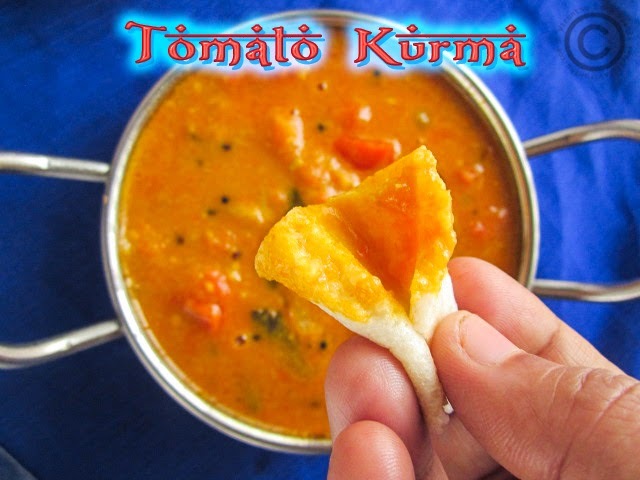 Add tomatoes sauté it for 3 minutes then add turmeric, red chilli powder and coriander powder with salt sauté it till the raw smell goes off. Then add white paste with 100ml of water mix it well and close the pressure cooker lid. Put vent after pressure comes, switch off the flame after 2 whistles. Open the lid after pressure reduces, and stirs it once. 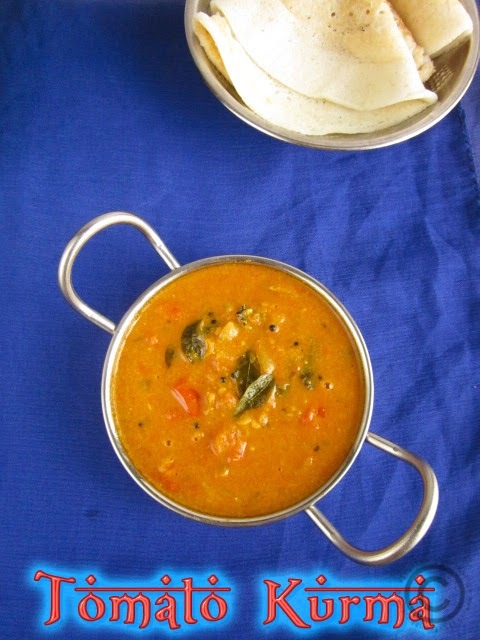 Serve it hot with idli/dosa. 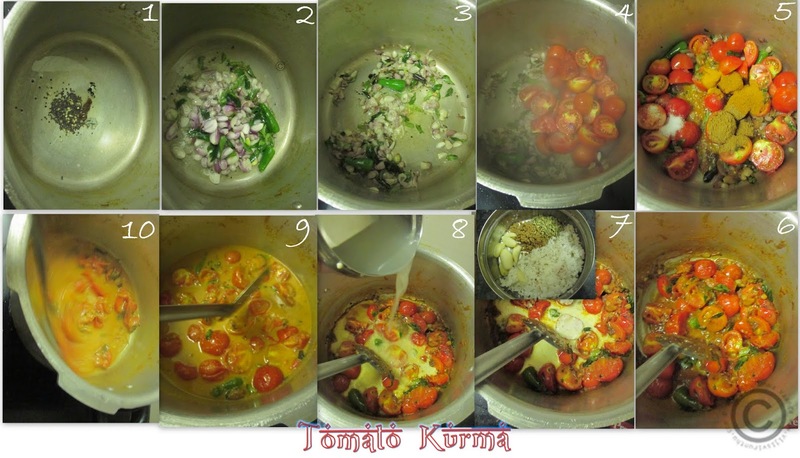 even i make the instant version of koorma.. when i am bored... yes its indeed delicious.